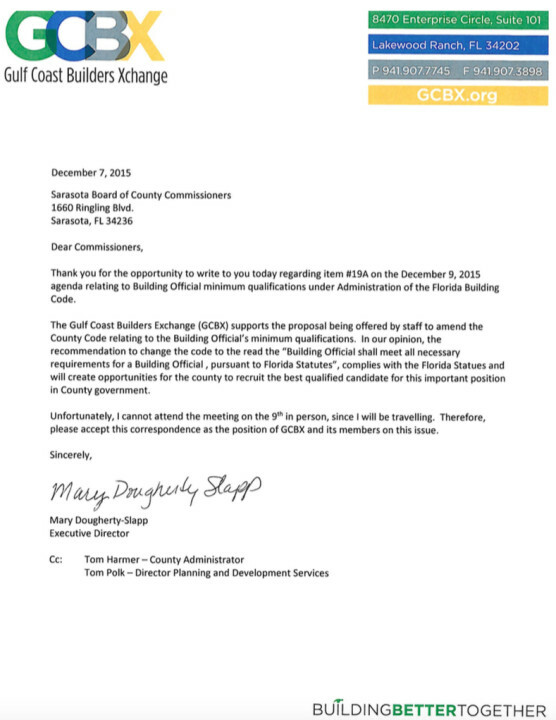 Before the Sarasota County commissioners last week gave unanimous approval to a change in the qualifications for the county’s Building Official, the director of Sarasota County’s Planning and Development Services Department assured them that building industry groups, the county’s Chambers of Commerce and area engineers and architects supported the modification. Commissioner Paul Caragiulo also cited a “very illuminating” example Commissioner Christine Robinson provided the board in explaining his motion for the change. The staff recommendation was to amend the County Code to eliminate the language calling for the Building Official to have at least 10 years of experience in “the field of building construction, building inspection, architecture or engineering,” with at least five years of supervisory experience in a building department. 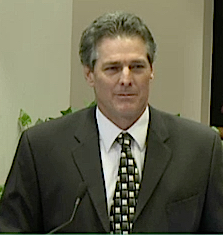 The person in that job still will have to comply with all the requirements in the Florida Statutes for such a position, Planning and Development Services Director Tom Polk told the commissioners on Dec. 9. Robinson asked Polk, “Would he be able to be hired, somebody like him who’s done it his entire life” since he returned from the Vietnam War? 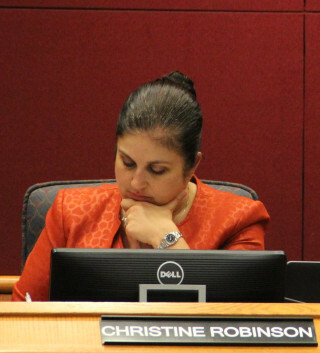 Polk told Robinson her father would be qualified for the job, based on that description, as long as he had the appropriate certifications required by the state. When she asked whether the current County Code qualifications would prevent someone like her dad from being hired, Polk said they would. 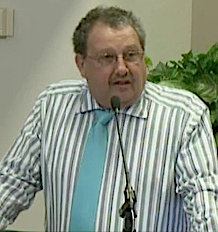 Polk said during that meeting that he and his staff did not want the latter requirement “to be a limiting factor” for people applying for the county’s vacant job of Building Official. After the Nov. 9 discussion, the commissioners voted unanimously to continue the public hearing, because they wanted Polk to contact more of the county’s industry groups, as well as architects and engineers, to ascertain their views on the proposal. On Dec. 9, Polk reported that all the stakeholder groups supported staff’s recommendation for the change in the County Code. Additionally, he said, he spoke with John Ryan, president and CEO of the Venice Chamber of Commerce, and Bill Waddill, senior vice president of Kimley-Horn and Associates — which handles many Sarasota County projects — and they provided verbal support for the code modification. Then Chair Carolyn Mason recognized three speakers. As they did on Nov. 9, former Sarasota County Building Officials Greg Yantorno and Paul Radauskas protested the changes. Yantorno, who said he was representing more than 1,700 Building Officials in the state as president of the Building Official Association of Florida, asked whether Polk and staff had reached out to the local spa and pool contractors, roofing contractors, marine contractors and plumbers, among others. “They account for the majority of the industry,” Yantorno pointed out. Further, most other jurisdictions require more qualifications than the state does, Yantorno said. He had searched the Internet for jobs in Sarasota County that require no hands-on experience, he continued. “There are a few,” he told the board. Among them, he added, are positions for bartenders, baristas, floor-care technicians, dishwashers and psychics. Yantorno said staff needed to raise the salary range for its vacant Building Official position if it wanted to find qualified applicants, instead of changing the requirements. He added, “You have to hire people who have the necessary experience and technical knowledge. … This position has to give interpretations to all sorts of situations,” and the Building Official has to be able to talk with architects, engineers and attorneys about “critical matters” related to the County Code. Radauskas urged the board “to do the right thing” and keep the code as it is. On the opposite of the argument, Jon Mast, a former county employee who is CEO of the Manatee-Sarasota Building Industry Association, told the commissioners, “This is a much to-do about nothing.” The members of his association, he added, believe in removing the extra requirements from the County Code and putting them in the advertisement of the Building Official’s position. 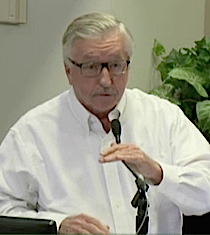 After the three men concluded their comments, Caragiulo asked Polk whether the current County Code was placing just another bureaucratic prerequisite in the qualifications. Polk concurred with that characterization. “’Cause government does everything better,” Caragiulo responded, prompting some laughter among his colleagues. “Our intention is to get the best qualified candidate, going forward,” Polk replied. In response to a comment from County Administrator Tom Harmer, Polk told the board that staff is setting up interviews with the four people who have applied to be Building Official. The job will continue to be posted until it has been filled, Polk added. After the board voted unanimously to find the recommended code modification consistent with the county’s Comprehensive Plan, Caragiulo made the motion to approve the adoption of an ordinance making the formal change. Commissioner Charles Hines seconded the motion. The vote then was unanimous in favor of the change.